SORRY, THE COMMENTARY FOR THIS STUDY IS NOT FINISHED. BEFORE READING PLEASE CLICK HERE TO ANSWER THE QUESTIONS. BEFORE READING PLEASE CLICK HERE FOR A LIST OF MAJOR EVENTS FROM JEREMIAH'S TIME TO ROMAN TIMES. * Jeremiah 37:1 "Zedekiah son of Josiah was made king of Judah by Nebuchadnezzar king of Babylon; he reigned in place of Jehoiachin son of Jehoiakim." 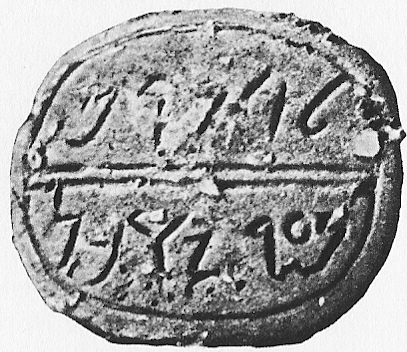 * "Zedekiah king of Judah" -Zedekiah reigned from 597-586 B.C. Nebuchadnezzar had made him king. He was the last king of Judah. Zedekiah was twenty-one years old when he became king, a puppet king of Babylon. 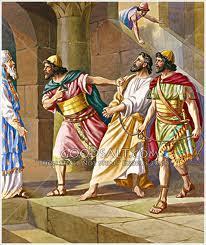 (2 Kings 24:18-19) King Zedekiah took an oath of allegiance to the Babylonian but soon became disloyal. So Nebuchadnezzar besieged the city from 10 January 587 to 9 July 586 B.C. Jerusalem fell and approximately eighty distinguished leaders of the community were executed, the royal palace and the city were set on fire, and the survivors (except the poorest of the land) were taken into captivity. After him govenors ruled Israel/Judah on Babylon's behalf. * 2 Kings 24:18-20 "Zedekiah was twenty-one years old when he became king, and he reigned in Jerusalem eleven years. His mother's name was Hamutal daughter of Jeremiah; she was from Libnah. He did evil in the eyes of the LORD, just as Jehoiakim had done. It was because of the LORD's anger that all this happened to Jerusalem and Judah, and in the end he thrust them from his presence. Now Zedekiah rebelled against the king of Babylon." * 2 Chronicles 36:11-14 "Zedekiah was twenty-one years old when he became king, and he reigned in Jerusalem eleven years. He did evil in the eyes of the LORD his God and did not humble himself before Jeremiah the prophet, who spoke the word of the LORD. He also rebelled against King Nebuchadnezzar, who had made him take an oath in God's name. He became stiff-necked and hardened his heart and would not turn to the LORD, the God of Israel. Furthermore, all the leaders of the priests and the people became more and more unfaithful, following all the detestable practices of the nations and defiling the temple of the LORD, which he had consecrated in Jerusalem." * "Jehoiachin son of Jehoiakim" -Jehoiachin was in prison in Babylon. * If the book were in chronological order it would be in the follow order: 34:1-7, 37:1-10, 34:8-22, 37:11-38:13, 39:15-18, 34:1-7 is a warning to Zedekiah. 34:8-22 is the event of recanting of freeing the slaves. 39:15-18 is a personal message of encouragement to Ebed-Melech the Cushite, who had risked his life to get Jeremiah out of the cistern (38:7-13). * Jeremiah 37:4 "Now Jeremiah was free to come and go among the people, for he had not yet been put in prison." * Jeremiah 37:5 "Pharaoh's army had marched out of Egypt, and when the Babylonians who were besieging Jerusalem heard the report about them, they withdrew from Jerusalem." * Jeremiah 37:2 "Neither he nor his attendants nor the people of the land paid any attention to the words the LORD had spoken through Jeremiah the prophet." * Jeremiah 37:3 "King Zedekiah, however, sent Jehucal son of Shelemiah with the priest Zephaniah son of Maaseiah to Jeremiah the prophet with this message: "Please pray to the LORD our God for us." * 2 Timothy 3:1-5 "But mark this: There will be terrible times in the last days. People will be lovers of themselves, lovers of money, boastful, proud, abusive, disobedient to their parents, ungrateful, unholy, without love, unforgiving, slanderous, without self-control, brutal, not lovers of the good, treacherous, rash, conceited, lovers of pleasure rather than lovers of God-- having a form of godliness but denying its power. Have nothing to do with them." * Jeremiah 37:6-7 "Then the word of the LORD came to Jeremiah the prophet: "This is what the LORD, the God of Israel, says: Tell the king of Judah, who sent you to inquire of me, 'Pharaoh's army, which has marched out to support you, will go back to its own land, to Egypt." * Jeremiah 37:8 "Then the Babylonians will return and attack this city; they will capture it and burn it down.'" * 2 Kings 20:16-18 "Then Isaiah said to Hezekiah, "Hear the word of the LORD: The time will surely come when everything in your palace, and all that your fathers have stored up until this day, will be carried off to Babylon. Nothing will be left, says the LORD. And some of your descendants, your own flesh and blood, that will be born to you, will be taken away, and they will become eunuchs in the palace of the king of Babylon." * Micah 4:10 "Writhe in agony, O Daughter of Zion, like a woman in labor, for now you must leave the city to camp in the open field. You will go to Babylon; there you will be rescued. There the LORD will redeem you out of the hand of your enemies." * Jeremiah 34:1-2 "While Nebuchadnezzar king of Babylon and all his army and all the kingdoms and peoples in the empire he ruled were fighting against Jerusalem and all its surrounding towns, this word came to Jeremiah from the LORD: "This is what the LORD, the God of Israel, says: Go to Zedekiah king of Judah and tell him, 'This is what the LORD says: I am about to hand this city over to the king of Babylon, and he will burn it down." >4. Why did the Lord say as he did to the king in verses 9-10? * Jeremiah 37:9-10 "This is what the LORD says: Do not deceive yourselves, thinking, 'The Babylonians will surely leave us.' They will not! Even if you were to defeat the entire Babylonian army that is attacking you and only wounded men were left in their tents, they would come out and burn this city down." >How was this time a test for the king? * Jeremiah 37:11-12 "After the Babylonian army had withdrawn from Jerusalem because of Pharaoh's army, Jeremiah started to leave the city to go to the territory of Benjamin to get his share of the property among the people there." * Jeremiah 37:13 "But when he reached the Benjamin Gate, the captain of the guard, whose name was Irijah son of Shelemiah, the son of Hananiah, arrested him and said, "You are deserting to the Babylonians!" >How was this a test for Jeremiah? * Jeremiah 37:14 "That's not true!" Jeremiah said. "I am not deserting to the Babylonians." But Irijah would not listen to him; instead, he arrested Jeremiah and brought him to the officials." * Jeremiah 37:15 "They were angry with Jeremiah and had him beaten and imprisoned in the house of Jonathan the secretary, which they had made into a prison." * John 15:18-21 "If the world hates you, keep in mind that it hated me first. If you belonged to the world, it would love you as its own. As it is, you do not belong to the world, but I have chosen you out of the world. That is why the world hates you. Remember the words I spoke to you: 'No servant is greater than his master.' If they persecuted me, they will persecute you also. If they obeyed my teaching, they will obey yours also. They will treat you this way because of my name, for they do not know the One who sent me." * Jeremiah 37:16 "Jeremiah was put into a vaulted cell in a dungeon, where he remained a long time." * Jeremiah 37:17 "Then King Zedekiah sent for him and had him brought to the palace, where he asked him privately, "Is there any word from the LORD?" "Yes," Jeremiah replied, "you will be handed over to the king of Babylon." 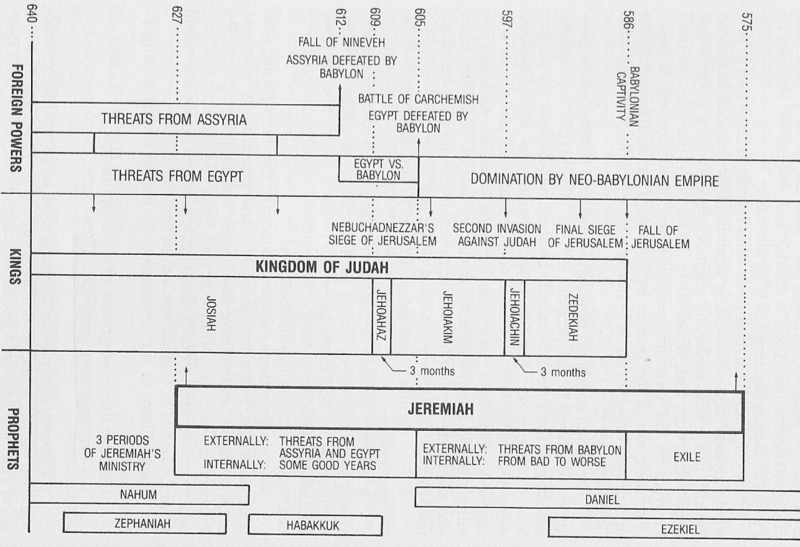 >What does his treatment of Jeremiah show about him? * Jeremiah 37:18 "Then Jeremiah said to King Zedekiah, "What crime have I committed against you or your officials or this people, that you have put me in prison?" * Jeremiah 37:19 "Where are your prophets who prophesied to you, 'The king of Babylon will not attack you or this land'?" * Jeremiah 37:20 "But now, my lord the king, please listen. Let me bring my petition before you: Do not send me back to the house of Jonathan the secretary, or I will die there." >9. How is the king's response to Jeremiah's request a compromise? * Jeremiah 37:21 "King Zedekiah then gave orders for Jeremiah to be placed in the courtyard of the guard and given bread from the street of the bakers each day until all the bread in the city was gone. So Jeremiah remained in the courtyard of the guard." * John 3:19-20 "This is the verdict: Light has come into the world, but men loved darkness instead of light because their deeds were evil. Everyone who does evil hates the light, and will not come into the light for fear that his deeds will be exposed." * 1 John 2:15-17 "Do not love the world or anything in the world. If anyone loves the world, the love of the Father is not in him. For everything in the world--the cravings of sinful man, the lust of his eyes and the boasting of what he has and does--comes not from the Father but from the world. The world and its desires pass away, but the man who does the will of God lives forever."